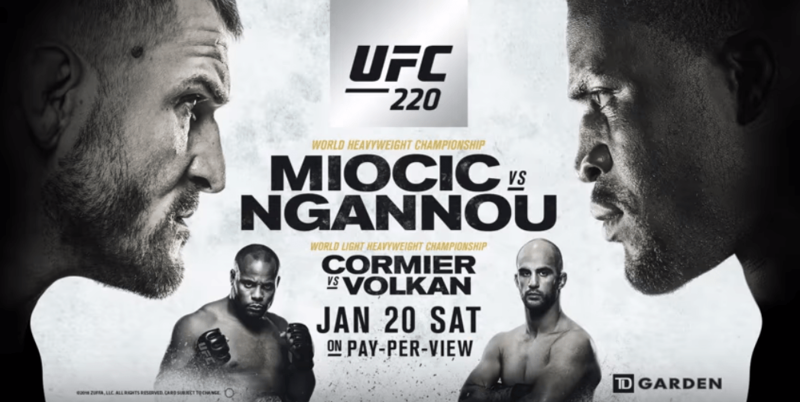 Miocic vs Ngannou excited me for two reasons; first, its Stipe’s third title defence and hence the chance of making history. The second reason was that he’d be fighting a monster. A monster that was hyped beyond reality as the next big thing overlooking Stipe as a champion. Now some would say its promotion and hype to get more views and tickets out of the casuals. You may be right but the way I and Stipe saw it is that the UFC almost wanted Ngannou to win. Critics claimed that Miocic never faced a legit threat or a monster like Ngannou and that it was going to be his doom. Not only did Miocic pass with flying colors, he also got to make history as the first heavyweight to have three successful title defences. What happened was big. Possibly the biggest heavyweight event in years and that’s not something you would see every day. Stipe was fighting what looked like an unstoppable opponent with his legacy on the line. With that in mind, I didn’t hoop on Ngannou’s hype train and predicted that Miocic would stop him. For the first minute or so, it looked like I would eat my words as Francis exploded with punches but that was not enough. For the rest of the fight, Miocic dominated the fight and even had moments like he was about to KO Ngannou but decided to play it smart and take a step back to not get caught himself. Ngannou’s punches are no joke but all he does is swing around hoping that one of the punches connect. In this fight, it didn’t work and he had no answer. Overall, the fight was exciting and I was on my toes the whole time as anything can happen at any moment when it’s a heavyweight fight. There is a reason heavyweight champ is called the baddest man on the planet. Of course, the UFC were too bussy showing of Conor’s belts on UFC 3 cover than to properly acknowledge Stipe’s record-breaking win. Let me know what you think and don’t forget to follow me on YouTube and other social media Adam3k3. Catch you in my next post.